Are you looking to encourage your kids to make a good habit out of — maybe even a lifelong obsession with — reading? Then check out Nick Jr. Books, an app that offers interactive e-books with special features. Three reading modes. 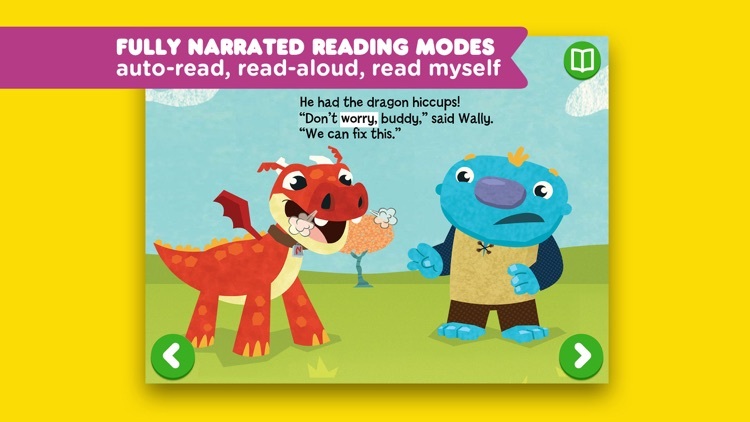 Each e-book in Nick Jr. Books is fully narrated with three reading modes: auto-read, read-aloud, and read myself. Choose the mode that suits your kids’ reading capability or let them choose their preferred mode for their optimal enjoyment and learning experience. The app also supports daytime and nighttime reading modes. Interactive effects. To keep kids entertained and engaged with each book, Nick Jr. Books includes interactive effects and character animations that make each page come to life. 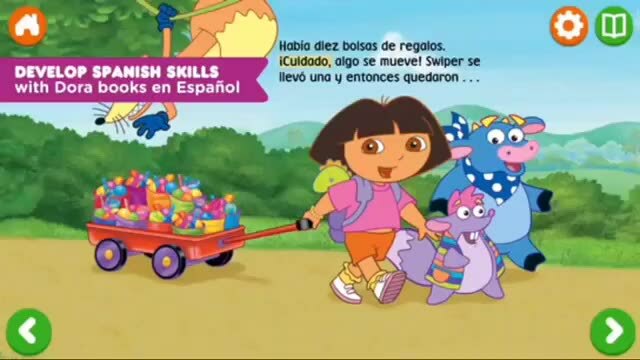 Spanish lessons with Dora. 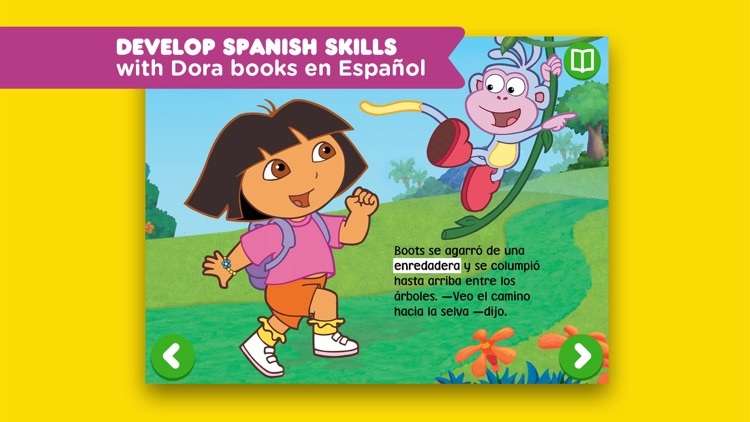 Among the selection of e-books in Nick Jr. Books are four books en Español that can help kids develop Spanish reading skills with Dora and her friends. 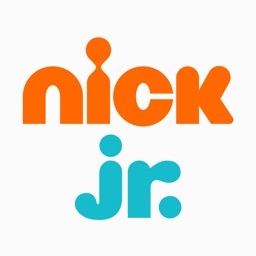 With Nick Jr. Books, parents and kids can have access to a collection of digital books featuring stories from some of the most popular shows on Nickelodeon’s eponymous television block for children, including “Blaze and the Monster Machines,” “PAW Patrol,” “Dora the Explorer,” and more. 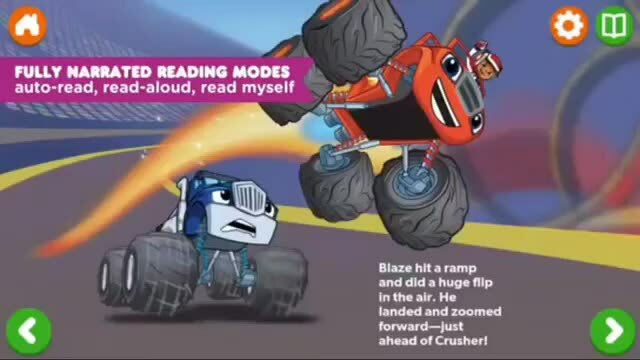 Each e-book is fully narrated with three reading modes and filled with interactive effects and character animations. 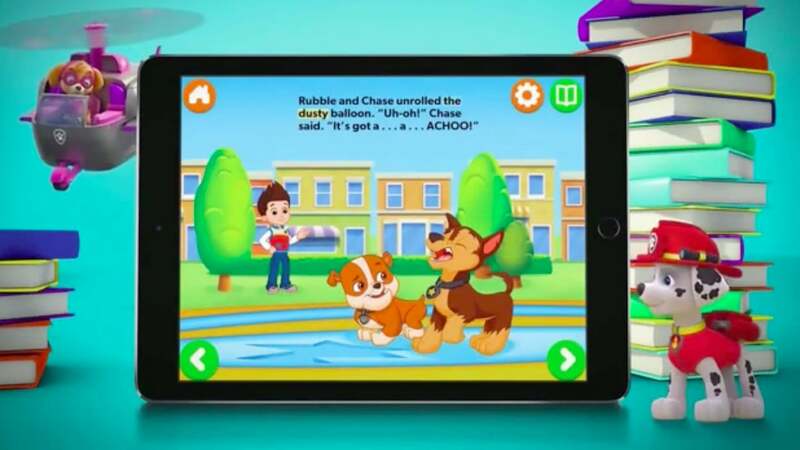 Nick Jr. Books is a neat app to get kids started on the many pleasures of reading, with the help of their favorite Nick Jr. characters at that. 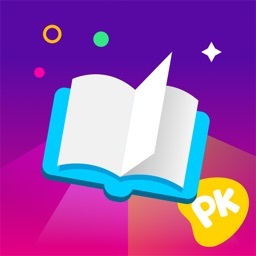 The app also fosters reading comprehension and vocabulary building in particular via parent tips, which are designed to promote discussion and connection. 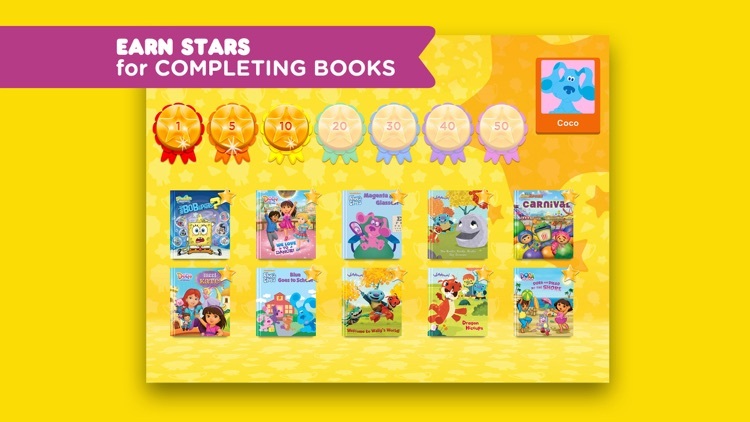 Moreover, it motivates kids to keep reading by rewarding them with stars for each completed book. 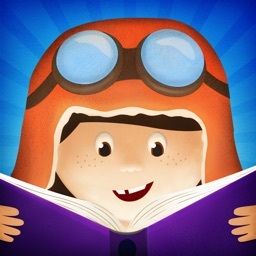 Foster a love of reading with the Nick Jr. Books app for iPhone and iPad! 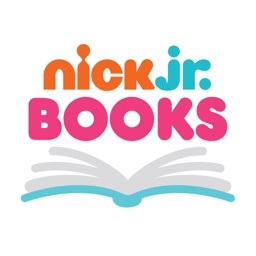 Nick Jr. Books is a collection of digital books featuring stories from all your favorite Nick Jr friends, including PAW Patrol, Blaze and the Monster Machines, Bubble Guppies, Dora the Explorer, Dora and Friends, SpongeBob SquarePants, Team Umizoomi, Wallykazam, and Blues Clues! Each ebook is fully narrated with 3 reading modes: auto-read, read-aloud, and read myself. 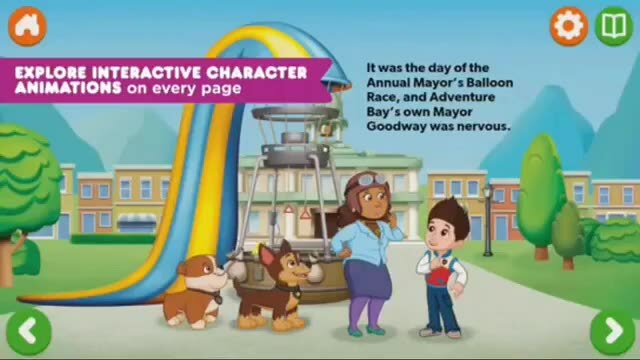 Nick Jr. Books also includes unique interactive effects and character animations on every page. Kids and parents will benefit from Parent Tips and reading comprehension questions that help kids build vocabulary. Use the reading tips to prompt discussion, establish connections, and cultivate a love of reading! Plus, kids earn stars for completing books. 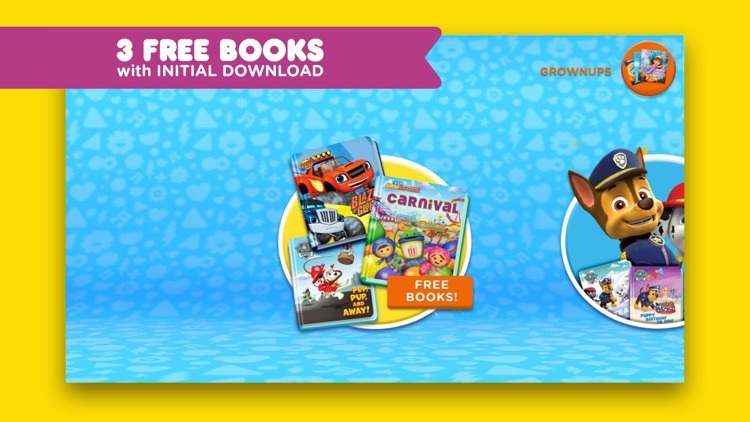 The app is free to download, and comes with 3 free books: Blaze: Blaze of Glory, PAW Patrol: Pup, Pup, and Away, and Team Umizoomi - Carnival. 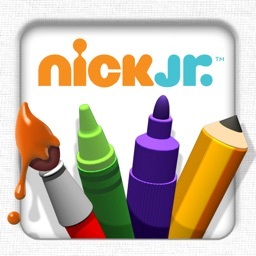 49 additional books featuring over 9 Nick Jr . characters are available via In-App Purchase. • Develop Spanish reading skills with 4 Dora books en Español! Nick Jr. Books collects personal user data as well as non-personal user data (including aggregated data). 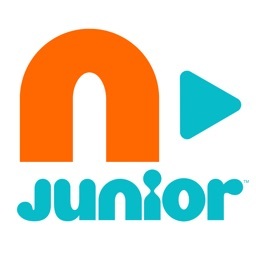 Nick Jr. Books offers in-app purchases and charges real money for additional in-app content. You may lock out the ability to purchase in-app content by adjusting your device¹s settings.